There is a topic hotly debated among the Porsche faithful, and motorsport enthusiasts in general; which Porsche livery is best? Well, we've compiled our personal Top Ten favorite liveries from the last six decades of Porsche motorsport heritage. There are tons of options, and I'm sure everyone will have a different list in one way or another, but that begs the question; why does Porsche tend to have the best integrated liveries in motorsport? Well, Porsche was on the leading edge of sponsorship in the 1950s, running hand-painted Telefunken logos on their 550 Carrera Panamericana competitors. Since that time, Porsche has equally been on the leading edge of motorsport participation, attracting the best and brightest sponsors. So, let's get on with the list, shall we? Everyone recognizes the iconic red and white of Coca Cola. In the mid 80s, their advertising department was shoveling their budget into motorsport, and Porsche teams took the lions share. IMSA, at the time, was the place to be with good television coverage, excellent racing, and a following of loyal fans always willing to fill the grandstands when the high octane circus came to town. Bob Akin's 962s and 935s of the day were plastered in that familiar red with white wave, and often had co-sponsorship from Domino's Pizza, where you can buy Coke products. These days, Apple is most well known for their line of music players and cell phones. When Apple Computers first sponsored this 935, they had not yet even released a personal computer. Wishing to garner some public brand recognition for the fledgling tech company, Apple slathered their then signature rainbow down the side of this IMSA 935, and it stuck. The team's slogan became "Don't upset the Apple car", and they gained a rabid following. As beautiful then as it is now, even if a bit dated, the Apple livery remains one of our favorites. If you don't follow the current state of Porsche motorsport, you'll be forgiven for not knowing Magnus Racing. The team has not been around for decades like many other Porsche racing teams, but the compelling team has gained followers quickly with their wry wit, amusing press releases, and their quickness to embrace social media. For the 2011 running of the Long Beach Grand Prix, team boss John Potter and co-driver Craig Stanton wrapped themselves in local restaurant "Roscoe's" livery, and charged to take a third place podium position in the ALMS GT Challenge class, their highest finishing place at the time. The move was whimsical, eye catching, and 100% in the Magnus wheelhouse. It may not have been the prettiest livery, but it is certainly among the most memorable. 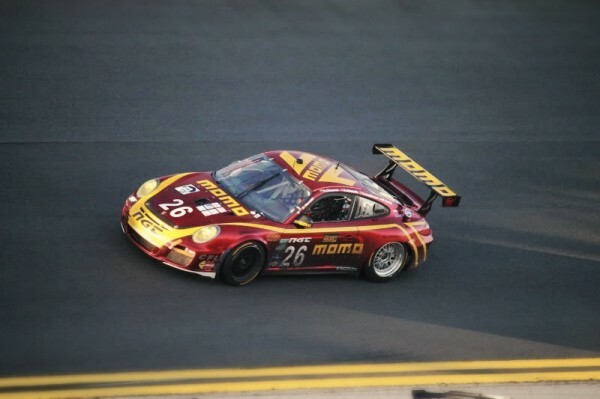 Certainly MOMO has sponsored a Porsche in the past, most famously in the 934/935 era, but never before has there been one as fetching as the reflective red car that NGT fielded for the 24 hours of Daytona in 2012. The first time I saw it, I was absolutely stunned. Sure, it didn't fare as well as it could have, finishing only 29th overall, but this is a comparison of liveries, not competition success. The shiny livery has been tweaked since then, but I prefer the original that nearly took my breath away. This is another case of a company having sponsored several Porsche cars over the years, but none meshed quite so well with their paint scheme than this 1973 Interserie 917/10. The Interserie was Europe's answer to the SCCA's Canadian American Challenge. 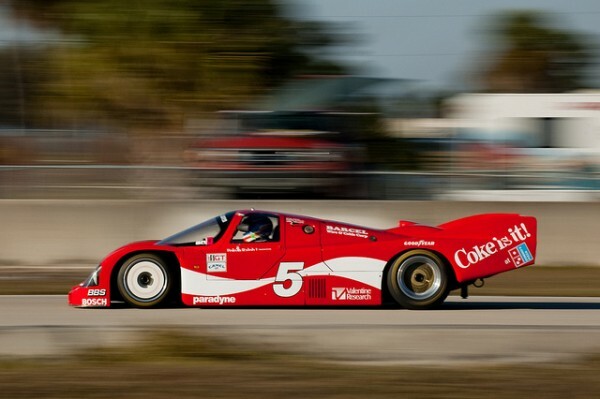 As good as the 917 was in Can Am, it equally excelled in Interserie competition. While the sensory assault of Jagermeister orange was later applied to 935s and 956s, neither of them had quite the same punch that it does when applied to this 1000-horsepower flat-12 turbocharged rocket. The wrapper, in this case, is befitting of what lurks underneath, and that is why this particular car is on the list over any others. The iconic red, white, and blue of the Brumos Racing crew took a leave of absence earlier this year, and it is currently unknown when this color palette will return, but it will certainly always be remembered. The number of icons created by this little Floridian team is unmatched, and has notched Daytona 24 and Sebring 12 victories, as well as a handful of series championships sanctioned by IMSA, Grand Am, and the SCCA. Hopefully the colors will be back on the track sooner rather than later. 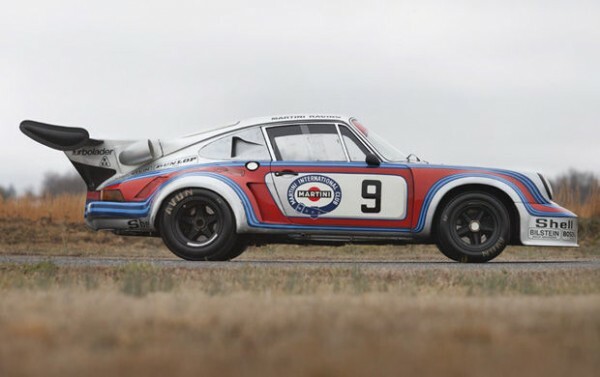 For the 1971 running of the 24 Heurs du Mans, Porsche teamed with SERA, a French aerospace consultancy firm, to produce the most aerodynamically advanced race car of the time. With bulbous fenders, sunken wheel arches, and tail fins, the car was definitely a departure from the norm, a bit unorthodox, and a bit ungainly in appearance. So ungainly, in fact, that the mechanics had taken to calling the car "der Truffeljager von Zuffenhausen", a derogatory term referring to the car as a truffle hunter because of its "pig-like" proportions. The car performed well in testing, but was still viewed as an eyesore. Intended to be sponsored by Martini spirits, the car was shown to Count Rossi, and immediately rejected. Rossi forbade Porsche from running the car with his company's livery, demanding a change be made immediately. With not much time left, going along with the joke, Porsche then had the car painted in a pale rose color, demarcating the car into sections, and labeling it with various cuts of meat. 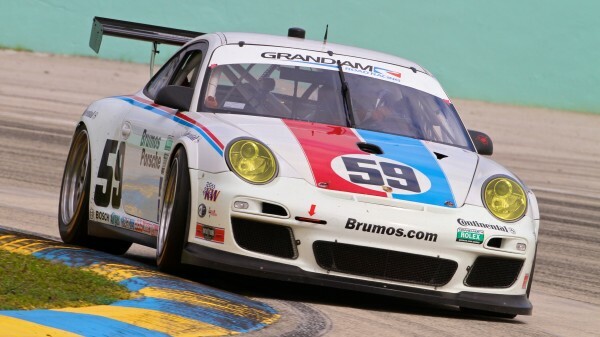 Porsche recognizes that this car is not their prettiest work, and with a brake failure occurring halfway through the race, it wasn't a resounding success. The 917 was effectively shelved for Le Mans in 1972, and the Pink Pig project didn't continue, languishing in a Porsche warehouse for several years before receiving a restoration. While the car was unloved in its day, the unique livery has given it something just short of legendary status among the Porsche faithful. If you came into this post without some idea that Gulf would be included, you've got to work on your cognitive skills. Of course one of the most recognized liveries in motorsport history is going to grace this list, especially considering the exciting history the colors shared with Porsche. While the Pantone 291C (blue) and 165C (orange) are more closely associated with the 917s that did battle at Daytona, Sebring and La Sarthe, I vastly prefer the livery chosen for the 908/3s that contested and won the Targa Florio in 1970. For some reason, the diminutive opentop car appeals to the color just a little more than the closed prototypes, a delightful color selection for a delightful racing car. 2011 was probably my favorite Le Mans 24 in the history of the event, which is sad, because Porsche didn't really factor. The #80 GTE Pro car of Bergmeister, Long, and Luhr finished 6th in class, while the #81 GTE Am car of Nieman, Pumpelly, and Law suffered a DNF, but I'll be gosh-darned if they didn't look stellar in the process. 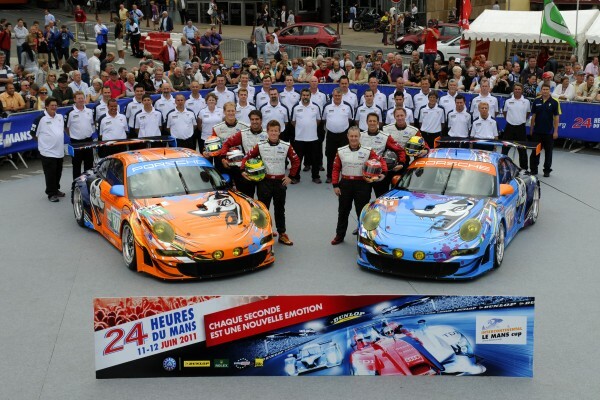 The pair of cars commemorated the 16 overall Le Mans victories that Porsche had taken up to that point, including the nationality flags of each driver who helped accomplish the feat, with a stunning design from Troy Lee. These cars remain my favorite one-off livery of all time. Like Gulf that came before it, the Martini livery is iconic, simplistic, and inextricably linked to the history of Porsche. 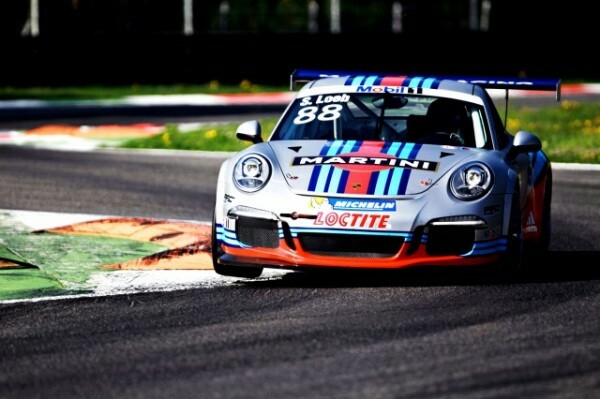 Hundreds of cars have been painted with the Martini colors over the years, and a high percentage of them have hailed from the Porsche stables. The flanks of many different Porsche racing cars have donned the unique blue and red stripes of the Martini livery, but there are a small handful that rise above the rest. While many are content to use a simple white backdrop to offset the bright blues and reds, others aren't happy with such effortlessness. Taking the proverbial cake are the cars who use a light shade of grey as the canvas. While the white is more well known and certainly more easily recognized, it is the grey Martini that runs ahead of the pack in the aesthetics race. A little light blue, a little dark blue, and a little red; it's amazing what a simple background change can do to make those colors pop right into your face. I have never seen a finer livery, and I doubt we ever will. Even on modern machinery, the grey just makes the car look so much more complete, so much more professional, proven by Mr. Loeb's 991 GT3 Cup debut. So there you have it, this is the official FLATSIXES.com top ten Porsche liveries of all time. For those of you who don't agree, or feel we overlooked a particular Porsche livery, please post your picks in the comments below. Remember, our list is purely subjective, and is based solely on the visual appearance of the cars in question, rather than their prowess on the track. We tried not to let racing success cloud our visual acumen, but you will be held to no such standards. So go ahead, what's your favorite Porsche livery? Is Arctic Cat’s Porsche Crushing Marketing Stunt Backfiring? Stickers often ruin a good livery treatment, and so many of these choices are visually cluttered. Simplicity of statement should rule. I have seen the #3 choice at VIR, although I only remember one arrow on the car, but nevertheless, that is my vote for Numero Uno. I agree that Rothmans and Sunoco should be on this top 10 list. 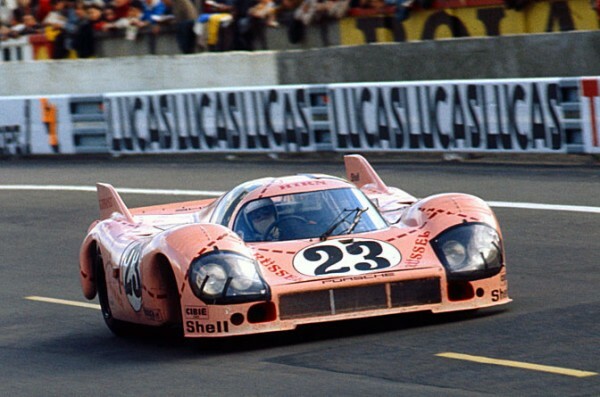 The Pink Pig ran one LeMans race as an experimental bodied car for the Can-Am Porsches and should be removed as well as the “Chicken” 911. Why do you think the Pig should be removed? Simply because it was unsuccessful? In spite of this lack of success, the livery has been burned into our memories because it was unique and interesting. That is why it is on the list. I can see your argument for Sunoco, and trust me, it was a very close “honorable mention”, however I have never really cared for the Rothmans livery. The problem with a Rothmans car is that the car is doing all of the work toward making it beautiful. Rothmans treated the car more like a billboard for their logos, and didn’t do as well when it came to integrating the livery with the car. It is really only memorable for the sake of the cars of which it graced the sides. You have to include Rothman’s, Lowenbrau, Miller High Life & Marlboro. No I don’t smoke—but I do drink!!! I’m not a drinker or smoker but I like all your suggestions — and I put Marlboro as one of my favorites for its simplicity. I also ilke the Rothmans 956. As an English subscriber I have no idea what Roscoe’s Chicken and Waffles are all about, so thumbs down on that one. For a livery to be instantly recognised and admired it surely is linked [or should be linked] with the importance of the machine and its racing successes worldwide. . 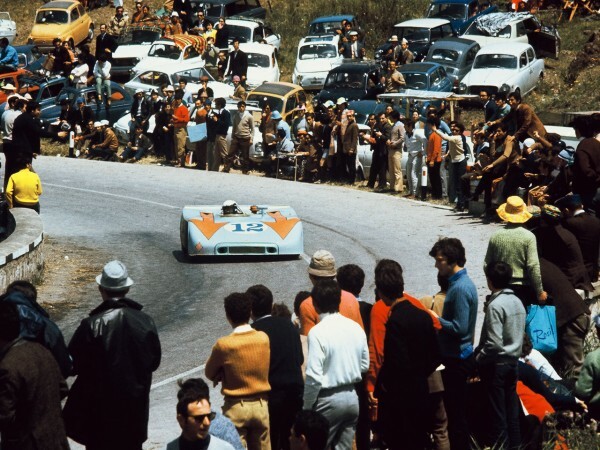 So, for me it’s no contest – the Porsche 908/3 of Targa Florio fame [your number 3] wins hands down. .. and what about Vic Elford for President! Gotta be Porsche of Salzburg 917 – plain and simple, no clutter. Deginitely agree on #1. And I don’t mind the rest either. Though I’d think gulf should be at least #2. In the end it gets down to two dimensional graphics on a three dimensional surface. The entities to be hailed here are the designers who have the creativity and skill to accomplish a balance of form and function… just as Porsche has done. The majority of race car graphic design does not fulfill that equation. Porsche + Martini = Beauty. Here’s to those designers! I can’t believe that you overlooked Al Holbert’s #14 Lowenbrau Special. great looking and FAST. How about the pure red 917? Great to hear from you! It’s been a while since we’ve seen you on here. Hope you’re well! What about the Kreepy Krawly pool cleaner car, wasn’t that a 936 or a 962 and don’t forget the Red Lobster car, either! While cool liveries, the Kreepy Krawly car was a March 83G chassis with a Porsche 935 engine. 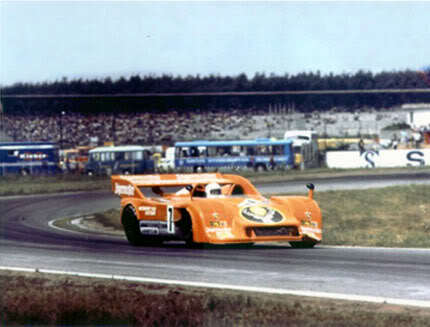 Similarly, the Red Lobster car was a March 82G with a Porsche 934 engine. Both were on the short list, but didn’t quite make the cut. They’re all great, but I’m particularly fond of the Coke cars. What about the 917 LH Long Tail Psychedelic “Hippie” Martini driven by Willi Kauhsen and Gérard Larrousse? I would replace Roscoe’s with “Newman” and Jagermeister with “Hippie”.